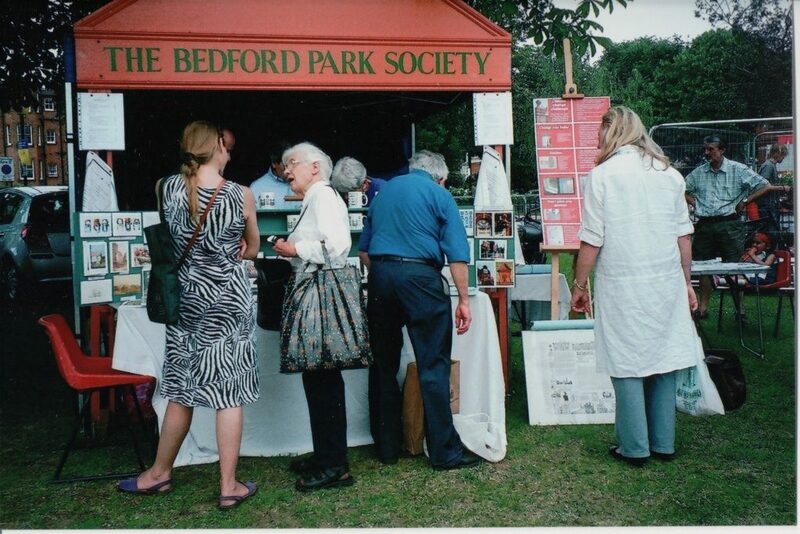 The Society staged an exhibition in June 2017 to commemorate the 50th anniversary of the architectural exhibition mounted as part of the first Bedford Park Festival in 1967. 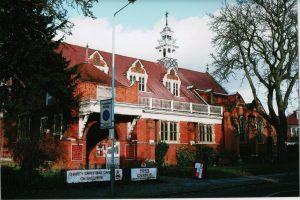 The 2017 exhibition was held in St Michael & All Angels Church, curated by David Budworth MBE, the Society’s Historical Adviser. 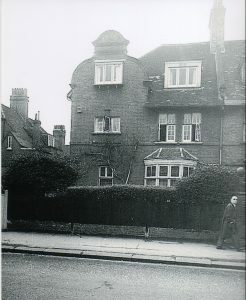 Although something of a late addition to the 1967 Festival and very modestly featured in the published programme, the architectural exhibition was attended by Arthur Grogan, the Inspector of the relevant Ministry, who was sufficiently impressed by the case implicitly put forward for the preservation of Bedford Park that he almost immediately secured agreement for the listing of the majority of its original houses. 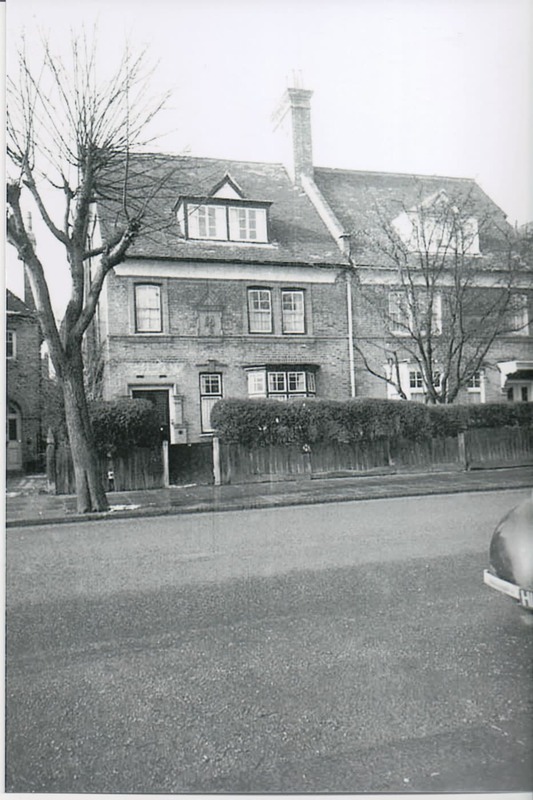 From this decision has stemmed a remarkable revival in the fortunes of the suburb. 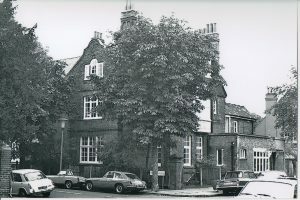 No catalogue was produced of the exhibition, but it was professionally photographed. 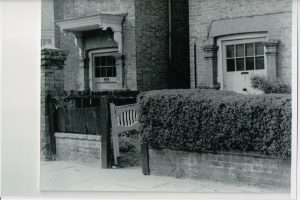 The catalogue included here is a simplified version of one compiled in 2004 by David Budworth from that photographic record. 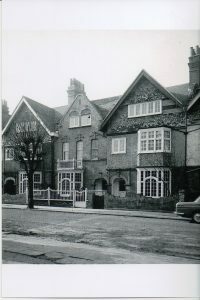 The exhibition was the work of Tom Greeves (right) and was mounted in the name of the Bedford Park Society of which he had been co-founder in 1963. 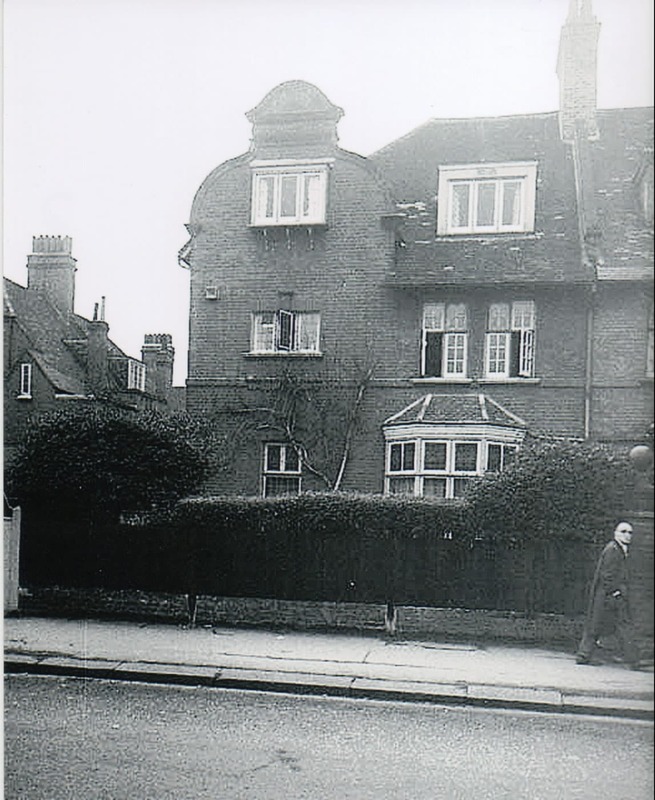 Tom had been campaigning as an individual for some years before that for the preservation of Bedford Park, and it is a happy coincidence that this year marks the centenary of his birth on 4 June 1917. Throughout his years of campaigning, Tom was staunchly supported by his self-effacing wife Eleanor. 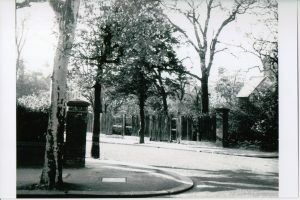 She contributed the very useful map of Bedford Park which appeared as an endpaper in the 1999 edition of Tom’s Bedford Park – the first garden suburb. 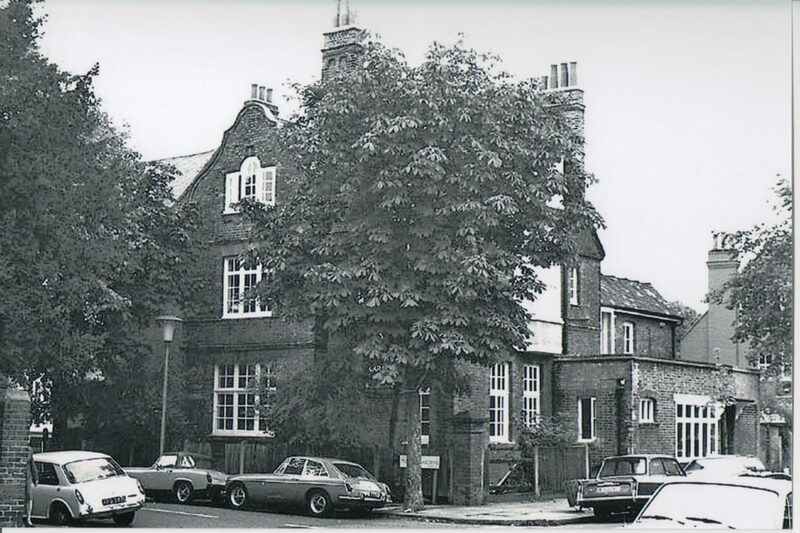 Not the least of her contributions was, after his death, to organise and list much of the archival material relating to Bedford Park which he had collected, and to deposit it in Chiswick Library. Before her death in 2015, she donated the material to the Bedford Park Society. 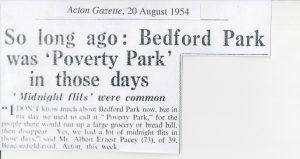 The 1967 exhibition illustrated the history and special nature of Bedford Park, not much appreciated at the time but well documented since. More significantly, it laid emphasis on the threats posed to the integrity of the development by unsympathetic developments of major sites, and by the degradation of its special architectural details. To view the original exhibition panels please click here. 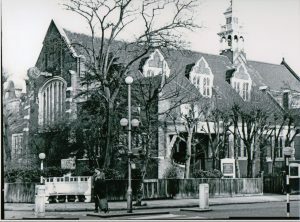 The immediate stimulus for the Festival, to which the architectural exhibition was attached, was that St Michael and All Angels was in urgent need of renovation. 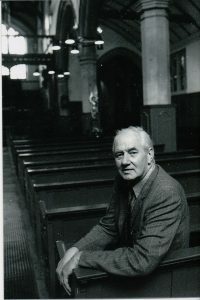 A campaign was launched in 1966 by the new Vicar, Father William “Jack” Jenner, and a Committee was formed to raise funds. Tom Greeves was co-opted on to this Committee, but was doubtful as to whether a Festival would be effective to that end. 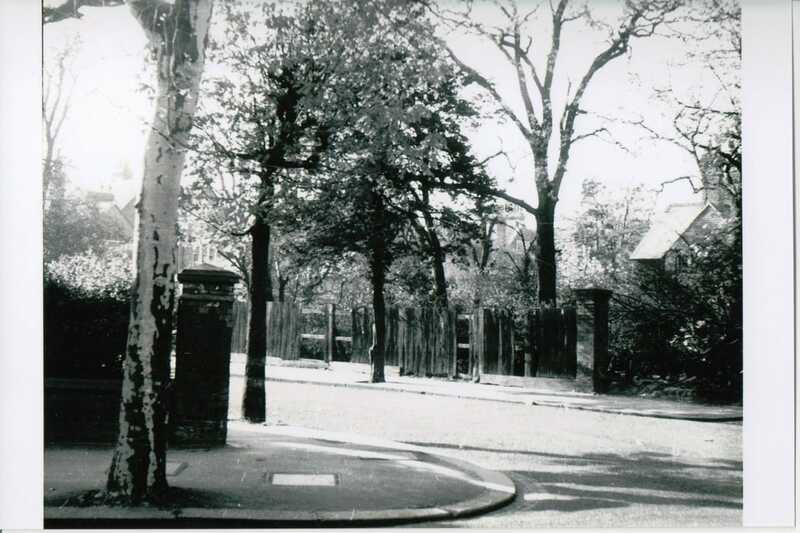 An exhibition of work produced by Bedford Park artists was one of the Festival events, exploiting work already done by a local resident, Mark Glazebrook, Director of the Whitechapel Gallery, which enabled a well-illustrated (albeit only in black and white) catalogue to be produced. 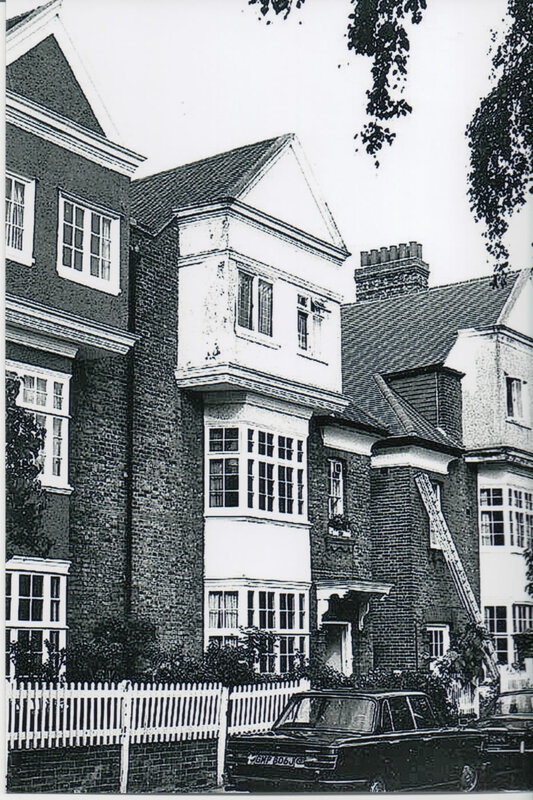 Tom Greeves contributed a short history of the architecture of Bedford Park as an appendix to this catalogue, but was able to include only four illustrations. Rather late in the day, however, Tom realised that the Festival would provide an opportunity for drawing the attention of a wider audience to his concerns about the decline of Bedford Park: he therefore mounted a comprehensive architectural exhibition which recounted the story of how Bedford Park had been built and gave examples of how it had been damaged by replacement buildings and particularly by unsympathetic alterations. 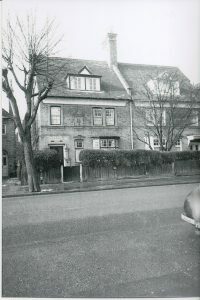 The surveyors to the Ecclesiastical Commissioners, freeholders of much of the Chiswick portion of Bedford Park, reported in late 1939 that “The character of the houses in Bath Road has deteriorated considerably since this became a bus route.” In 1947, the ground floor of 44 Woodstock Road was described as being so damp that clothes hung in a cupboard went green with mould. The sobriquet “Poverty Park” became attached to the area. This poverty expressed itself in the deterioration of the condition of many of the houses and particularly of their fences and gates, examples of which, photographed by Tom Greeves around 1965, were shown. Please click on the page numbers below the descriptions of each page content to see the rest of the exhibition.